These bronze Orientalist style sculptures of a water-carrier and warrior were crafted in the late 19th Century by the famous French sculptor, Marcel Début. 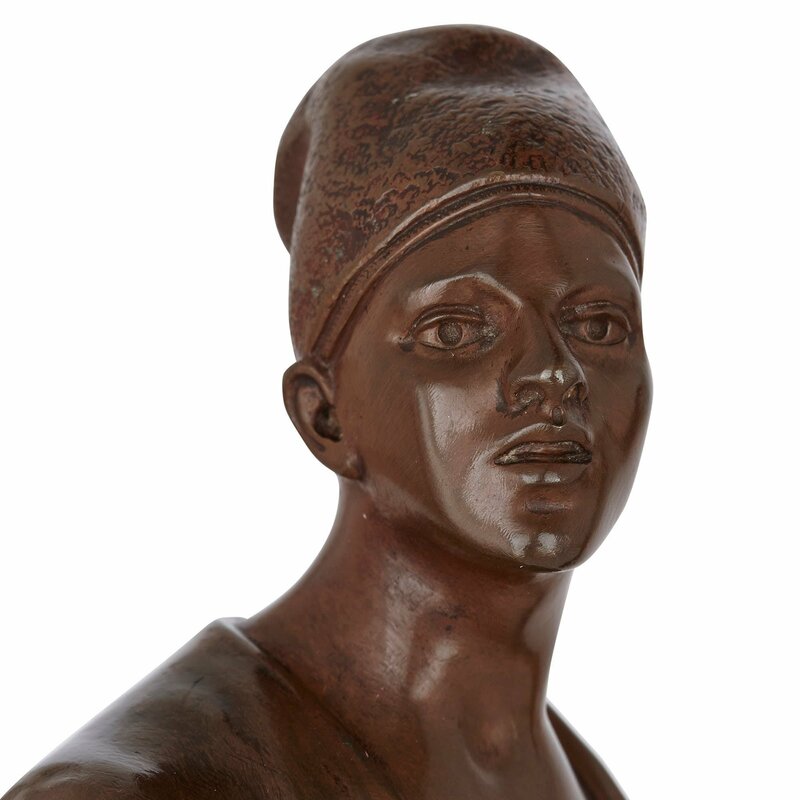 The creator of these pieces, Marcel Début, was trained by two acclaimed sculptors: his father, Jean Dider Début and Henri Michel Antoine Chapu, from the École des Beaux-Arts. Marcel Début was highly-esteemed for his bronze works, which depicted classical mythological scenes, historic figures and events, and animals. 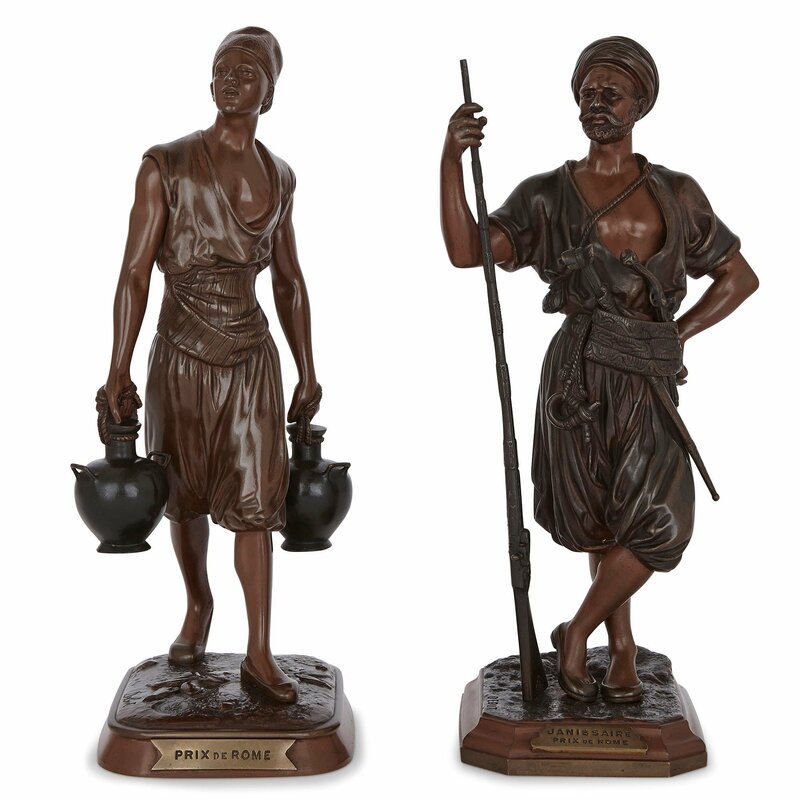 Début also produced Orientalist style sculptures, such as these, and was particularly drawn to the poor of Tunisia as a subject-matter. Tunisia was, from 1881 until 1956, effectively a French colony, allowing artists like Début to visit the country and be inspired by it and its inhabitants. 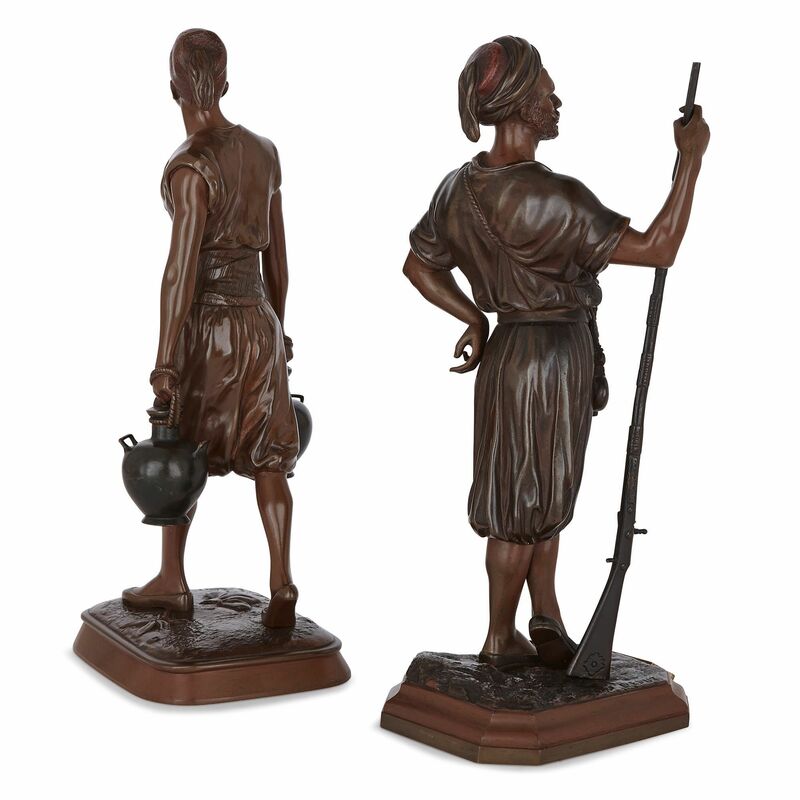 These sculptures depict a Tunisian water-carrier and an Arab warrior, holding a musket. The water-carrier is represented in the act of walking, with his right foot placed in front of his left. 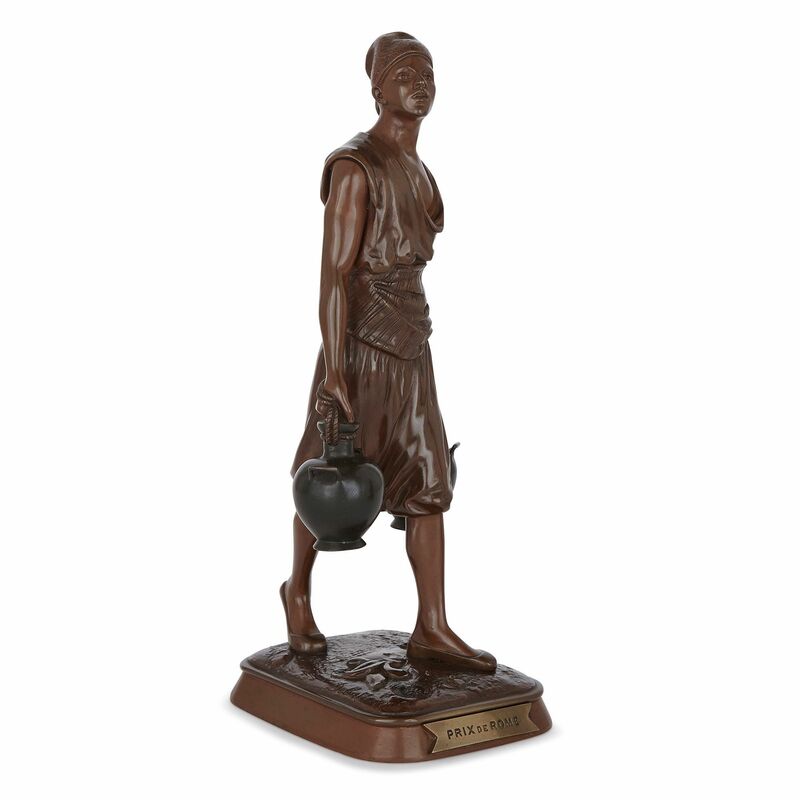 He holds an urn in each of hand, which appear to be full of water and therefore heavy. He is dressed in traditional, Tunisian costume, with a striped piece of fabric tied around his waist and a fez on his head. The man's mouth is slightly ajar, and he looks up into the distance to his right. 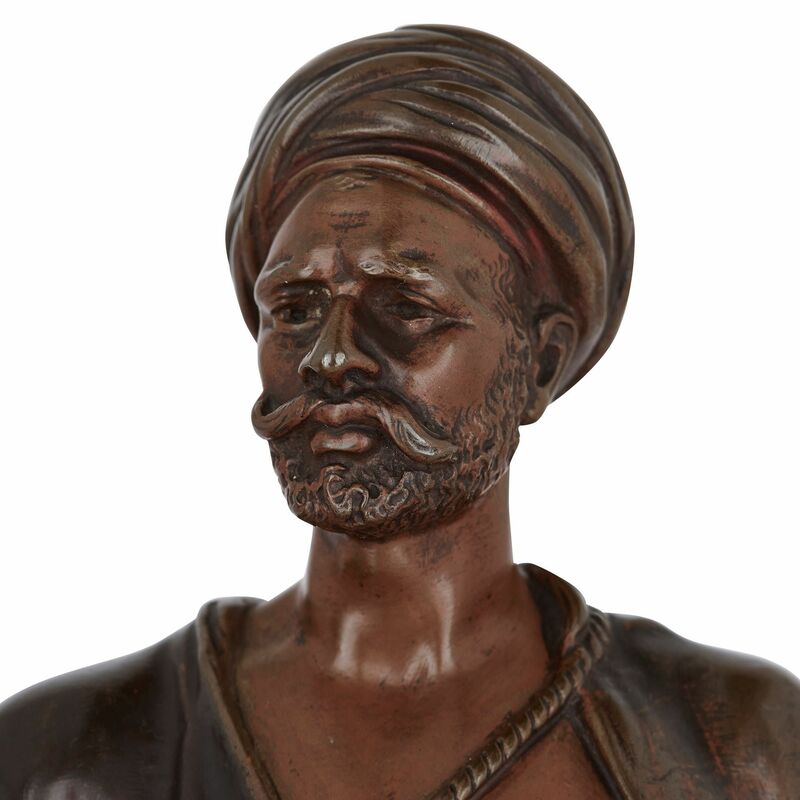 The accompanying figure is an Arab warrior, who appears relaxed, with his left leg crossed in front of his right, and his left hand on his hip. In his right, he holds onto the long barrel of a musket. 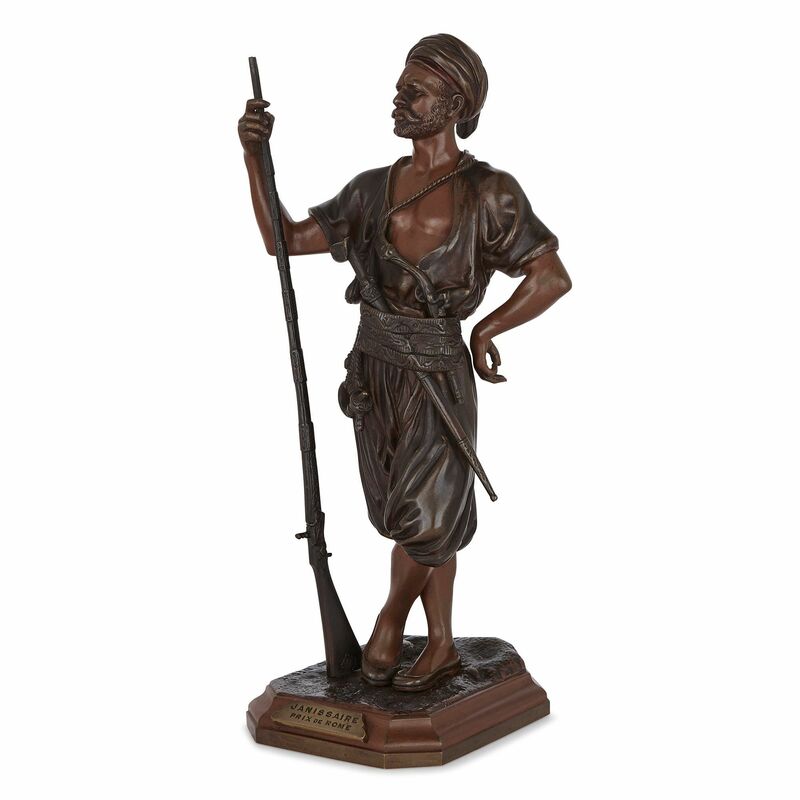 The warrior is dressed similarly to the water-carrier, but with the addition of a sword and pistol tucked into his belt. This man is bearded and moustached, and he frowns slightly as he gazes into the distance. 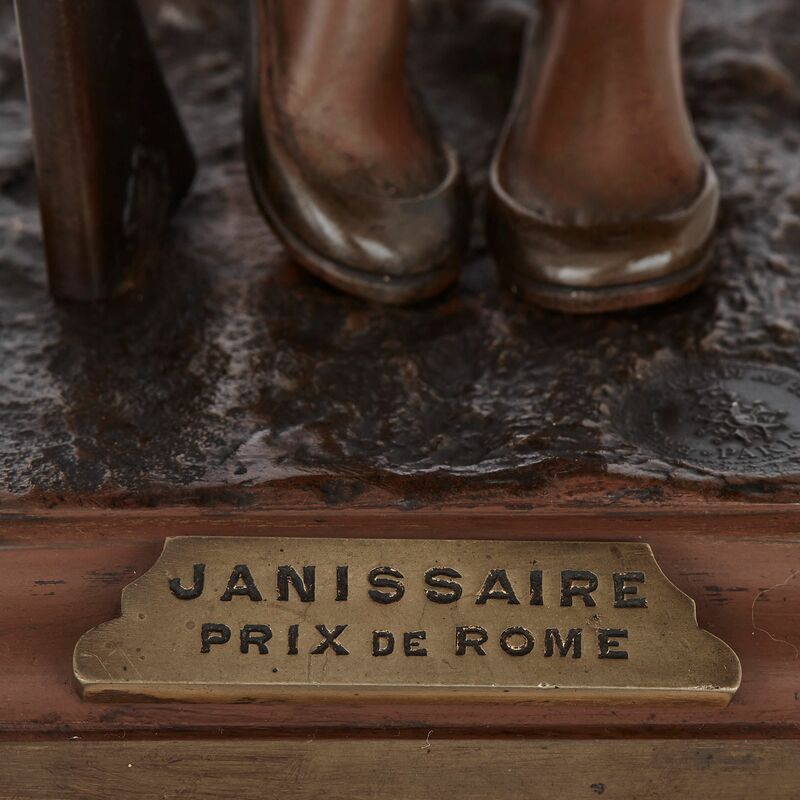 The warrior sculpture is fitted with a plaque, inscribed with 'JANISSAIRE / PRIX DE ROME', and the water-carrier with one which reads, 'PRIX DE ROME'. 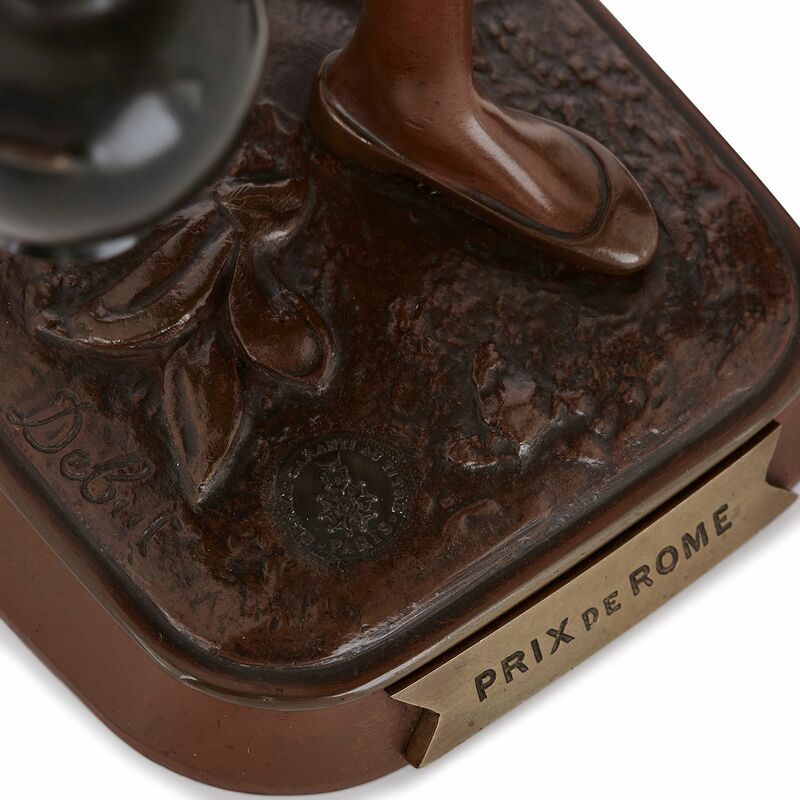 Each base is also signed 'Debut' and stamped with the manufacturer's mark.